Almost the weekend and in a rush to get everything done so the fun can begin? 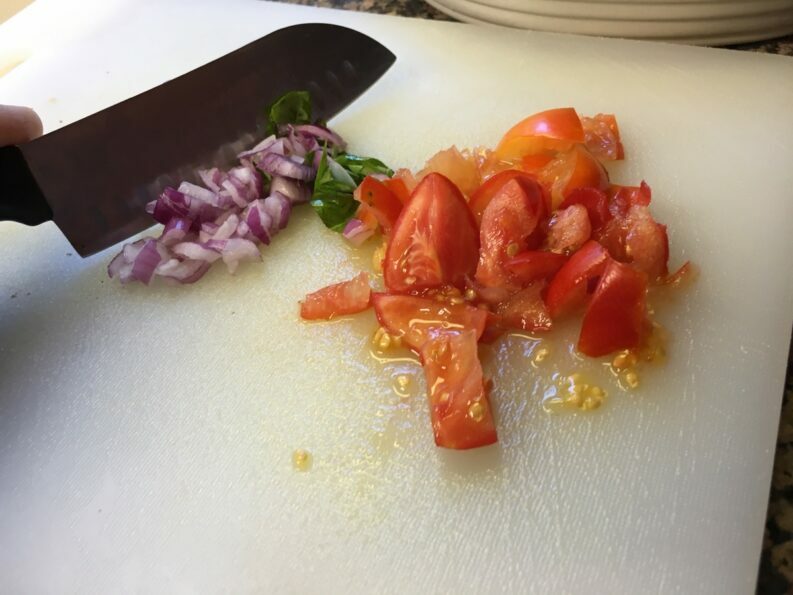 YOU GOTTA EAT….. I’ve got a super easy recipe that is packed full of flavor and is surprisingly easy and will help you get the job done quicker because you are taking care of yourself. In todays post I have a yummy recipe that includes just a few easy recipes from the garden and a new ‘toy’ in my kitchen. I recently got a counter-top oven that is already making eating healthy easy and fun. 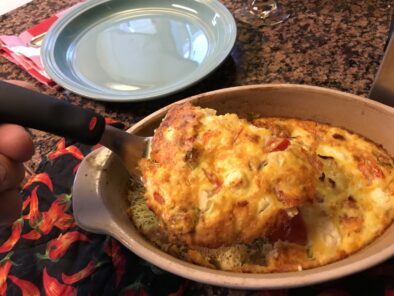 I have to tell you when I pulled this casserole out of the counter-top oven my husband was all about it….. which is odd because normally when I use my skillet on our huge oven with the same ingredients he goes for the cold cereal. I wasn’t going to share it with him because it is ‘healthy and all’ but I spared a few bites so he could try it. HE LOVED IT!!! Next time I whip this up I’m gonna have to double the recipe so there is enough for the two of us. 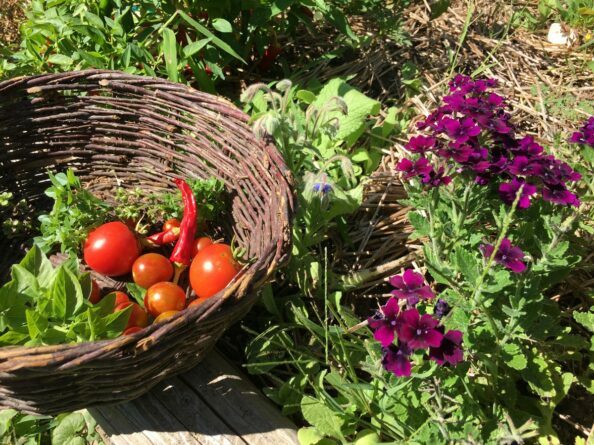 A quick walk out to my kitchen garden to harvest some yummy basil, red onion and tomatoes… doesn’t get any fresher then this! I had my iphone handy for the entire ‘event’ only my phone is so full the videos didn’t take!!! arggg….. looks like I need to sit and upload a summers worth of images this weekend. I did manage to get a few clips so I will add a video on this post as well. Chop basil and red onion together for egg bake. 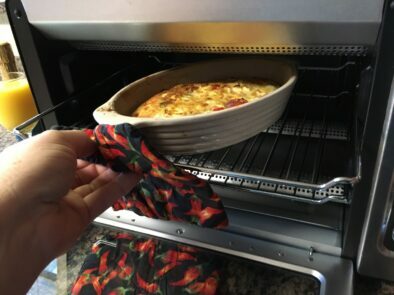 Remove egg bake from the oven. 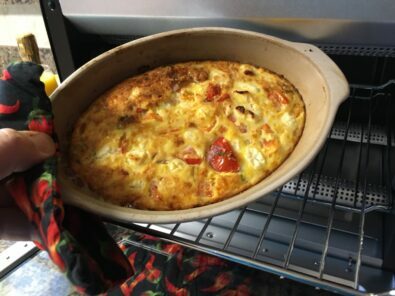 Italian theme egg bake with fresh veggies and herbs from the garden. 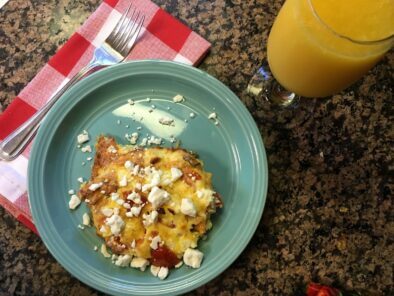 Italian theme egg bake served with orange juice. Crack eggs and mix in small bowl. Add the veggie and herb mix to that mix and stir a few times. Spread olive oil on bottom on small stone casserole dish before pouring mixture into the dish. Sprinkle 1/3 cup of feta cheese on top of casserole. Sprinkle about some feta on top if desired. I can’t believe I’m 46 years old and this is my first real counter-top oven to own. I had one a few years back when the kids were into making quick meals and making a huge mess out of my kitchen oven so I bought a cheap on that worked just fine for what they were heating up and I didn’t have to wash the entire oven. Now that they are both adults it’s mama’s turn to play with an adult ‘Mini- Oven’! I recently received a kind note off of my website contact page from a Marketing Intern at hayneedle.com and they kindly gave me a coupon to help me get acquainted with their site so I used that on this purchase. TRUST ME ..it was not an easy choice… there are tons of great products for your home and garden over on this network. If you’ve never heard of hayneedle.com they are an online home furnishings and décor retailer that specializes in helping shoppers find everything they need for their home. Their site is filled with millions of products for every room, style, and budget so you can image how hard it was to pick just one product to use my $100 coupon on. I went with the KitchenAid counter-top oven because I’ve been short on time and I’m trying to keep with my healthy eating goals which can be hard sometimes with a busy schedule. Placing my order on hayneedle.com was super easy. Right from the ‘place your order’ button I was able to create my new account and they even take Pay-Pal. Of course I went with the FAST 2 day delivery because I was anxious to get baking this Labor Day weekend. I hope you will stop by hayneedle.com and check out their Best Price Guaranteed offer and they even have an affiliate program that is easy to sign up for if you are a website owner. 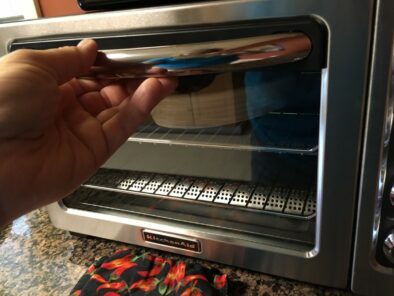 [alert-warning]Are you a countertop oven fan… I’d love to hear from you and I hope you will share some cooking tips! 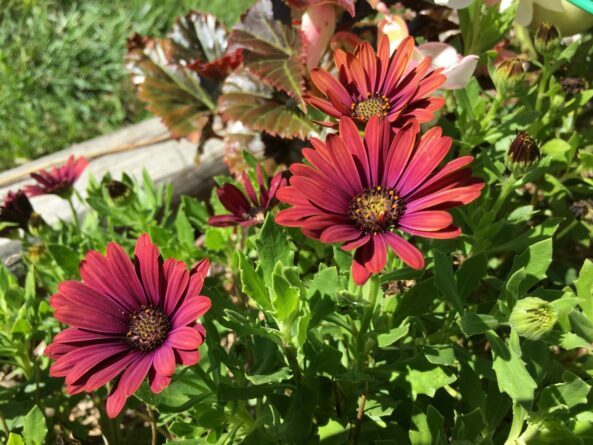 Let’s connect on social media or better yet please comment on this post so I can follow your comment over to your website to learn more about you and your recipes.